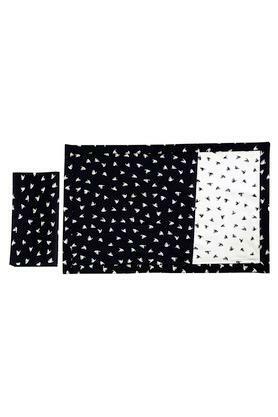 Keep your dining table stain free by using this place mat and napkin set. It has been crafted from superior quality fabric and hence it can be maintained easily. It also features a printed pattern that is further enhanced by a beautiful combination of shades. 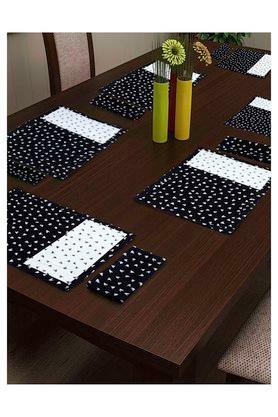 Trendy and long lasting set of twelve place mat and napkins from Swayam protects and beautifies your table all at once.